Gray and light pink colours for my manicure. Pink wellies for the rainy days. 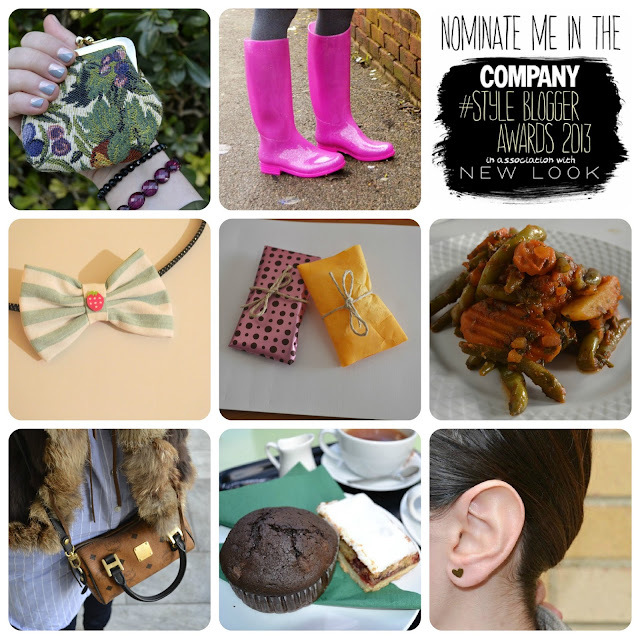 Participated at the Company style bloggers 2013 awards as the Best Personal Style Blog. I would be honoured if you would nominate me here! Shipping new orders for my Etsy shop. Cooking green peas, nom nom nom. Going for coffee with friends, eating plenty of cupcakes and other sugary stuff. Wearing my beloved heart shaped earrings from Misty Aurora. Let me know how was your weekend!